One of the best way guests can explore our beautiful coastal area is biking along the Cape Cod Rail Trail. Access to the trail is less than a half-mile from our Inn, making it an ideal activity after a great B&B breakfast. The Cape Cod Rail Trail is a 25-mile paved route that runs through the mid-Cape from South Dennis to Wellfleet. The trail follows the path of the Old Colony Railroad Company train that connected Boston to Provincetown from the early 1800’s to mid-20th Century. Designed for leisurely biking, this well-maintained trail is a terrific way to explore the area. Inn guests can pick up the trail nearby at Rock Harbor Road. From there you can head either direction. Go south to Orleans, and you can hop off your bike to stroll through the downtown area, a designated cultural district that is home to artists, historic sites, museums, and antiques. Back on the trail the route takes riders through Brewster to Dennis—where a stop at Aunties’ Ice Cream Parlor is always a good idea! Choose to go north from the Inn and the Cape Cod Bike Trail will take you into the Wellfleet, a quintessential Cape town known for its amazing oysters. If you want, from here you can head to the Cape Cod National Seashore and pick up two other trails, Nauset Marsh Trail and Province Lands Bike Trail. Nauset Marsh is a 1.6-mile paved route that goes between Coast Guard Beach and the Salt Pond Visitor’s Center in Eastham (and back close to the Inn). Province Lands Bike Trail is a hilly 5.45 loop that begins at the Province Lands Visitors Center and travels past cranberry bogs, marshes, dunes and saltwater ponds. No matter which direction you go, the Cape Cod Bike Trail is a joy of a ride. Back at Whalewalk Inn & Spa, it’s time for a little R&R. Schedule a massage for those sore muscles, relax in our sauna and chill on the porch with a cool drink. There’s no better way to enjoy a day on the Cape! Call the Inn today to reserve your getaway or, if you prefer, book a stay online. 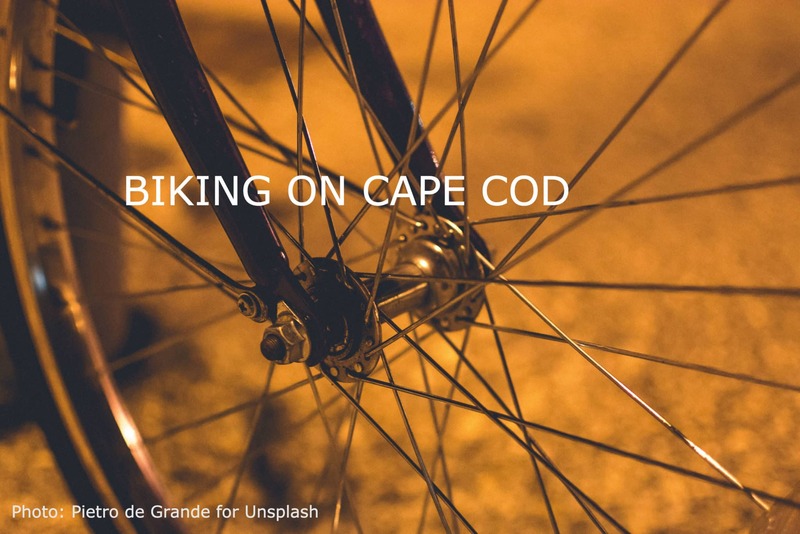 This entry was posted in Biking, Eastham, Local attraction, Nature, Outdoor activity, Provincetown, Spring, Summer and tagged Cape Cod attractions, Cape Cod national seashore, Cape Cod Rail Trail, Cape Cod towns, Outdoor activities, Summer, things to do by admin. Bookmark the permalink.